Lee has been working continuously in the Albany real estate industry for over 14 years. 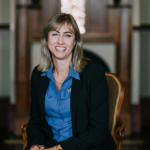 Throughout this time she has gained a wealth of sales experience and has been awarded numerous accolades for being a top performing sales person, both in Albany and throughout WA. Lee is well known for her excellent local knowledge, approachable and genuine personality, exceptional work ethic, integrity and highly tuned sales skill set, having learned from some of the best agents in the industry, both nationally and internationally. A large amount of her business is generated from repeat customers and referrals by happy clients, which is testament to Lee’s ability to achieve results that her clientele are thrilled about. As an Albany local, Lee has a very extensive network of established clients and contacts that she is able to tap into when selling properties. She also has access to a large number of contractors and other service providers to ensure her clients are provided with an end-to-end service when selling their property, meaning she can be entrusted to take care of the entire process, from go to whoa. Lee’s vast sales and marketing experience enables her to be in-tune with market trends of the region. She also holds a Diploma of Property Services (Agency Management), a current Real Estate and Business Agent’s Licence and Triennial Certificate so is knowledgeable across all aspects of real estate. This ensures Lee’s clients receive the most reliable and pertinent advice, relevant to their personal situation and current market conditions. In an industry that is often filled with sales people who “talk the talk”, yet make hollow promises, Lee “walks the walk” – she gets the job done without unnecessary fuss or inconvenience, whether it be selling real estate or assisting clients in purchasing homes or investment properties. Lee is always happy to chat to prospective buyers and sellers about their ideas and offer obligation-free advice. She would love to hear from you at any stage if you are considering buying or selling, either now or in the future. No-one will work harder to achieve the best outcome possible for any person buying or selling. Contact Lee on 0409 684 653 or lee@merrifield.com.au to discuss your needs at any time.